If you can’t avoid working at height, then the design and installation of the correct fall arrest system is critical to ensure the safety of workers. To ensure your fall protection system remains safe and serviceable for ongoing use, we offer the comprehensive installation and testing of permanent or temporary systems that include; safety lines, eye bolts and deadweight anchors, guardrails, safety line systems and fall protection equipment. Our systems are designed to the fall arrest standard as specified by the Health & Safety Executive. 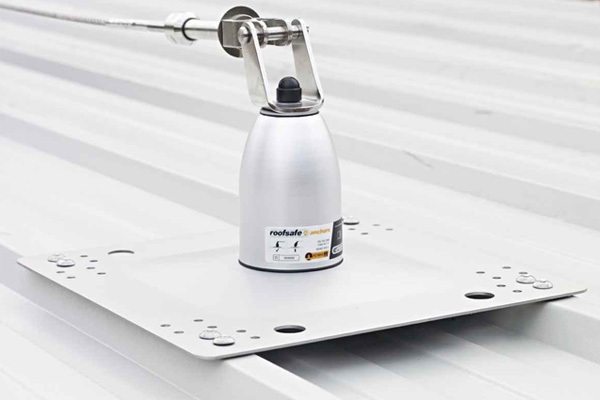 Can be fitted to most roof materials including profile sheets, these are often selected for sloping roofs or where adequate edge protection is not present. They can be adapted to fit any roof type or layout. Safety lines allow safe access and maintenance to the roof area. We also supply ladder safety lines. May be fitted to most building fabrics, usually roof or walls. 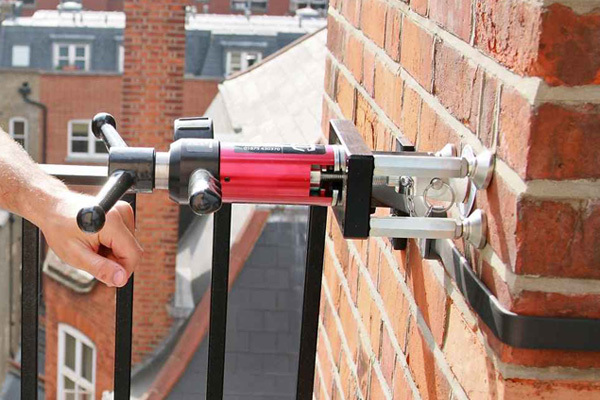 These are usually installed where access is required on a short term basis, like window cleaning. We also supply ladder ties. May be either fixed to the roof or freestanding, these are most commonly used on flat roof areas where little or no edge protection exists. Guardrails allow complete unrestricted access to the roof area without the need for operators to use safety harnesses or other personal restraint systems. We offer a supply and inspection service for Personal Protective Equipment including safety harnesses, lanyards, work wear and other equipment. 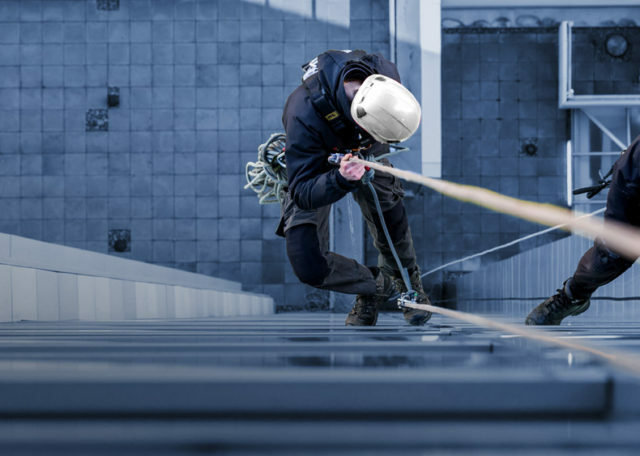 It is a legal requirement to ensure that all fall arrest systems are tested, inspected and certified by a competent person to ensure compliance to relevant standards, regulations and manufacturers’ guidelines. We offer a regular inspection and testing service. This service is key to ensure your fall protection system remains safe and serviceable for continued use. Our experience has taught us that inadequate maintenance schedules not only compromise safety but end up costing clients more in the long-term. Speak to us about our flexible, fixed-price service contracts that can be tailored to your specific requirement. For me, it's important to be able to fully manage projects, including micro details of contractors, and report internally and back to clients. Regular and detailed communication is a real bonus on top of a job well done.